You gotta cut Iron Man some slack: the poor guy has lost his head. 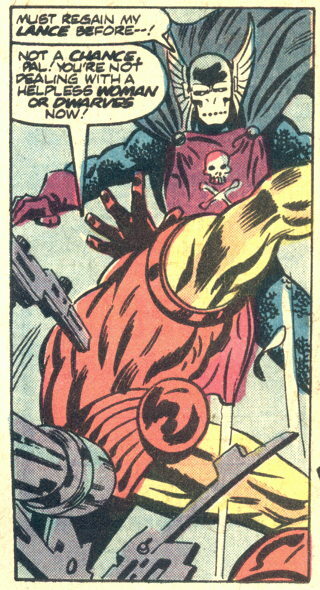 Seriously, where the heck is ol’ Shellhead’s… head in that drawing? Has it been replaced by that 5 appendage hand-like creature wiggling from his shoulder? dude’s gonna piss of Peter Dinklege! “…you’re dealing with DANGEROUS women and dwarves now!” says the next panel, in my head.